James Rule has confirmed his departure from Widnes but revealed the club faces an uncertain future. Rule announced in November 2018 that will step down from his role as chief executive of the Vikings ahead of the 2019 season. He has been in charge of the club for the last six years years but he will now pursue other opportunities. On his official exit from Widnes, Rule said: “Today, as I formally step down from my operational role as Chief Executive, I want to provide an update on the current position for the club. “As I announced in November, I have committed to departing from the club ahead of the start of the 2019 season. Throughout this period, my complete focus has been on securing a transition of ownership, bringing external investment into Widnes Vikings that will secure the immediate and longer-term future of the club. “To facilitate this transfer, the five shareholders of Widnes Vikings collectively agreed to relinquish their shareholding for no financial gain. The board of directors have also written off all previous loans in their entirety that they have made to support the club throughout their ownership, totalling £377,000. “Whilst we have been actively seeking investment from a range of individuals and consortia, there have unfortunately been no formal offers to take on the ownership of the club to date. “Whilst Widnes Vikings, with investment, can be a viable, thriving and successful club in the long-term, in the short-term, without investment, it is facing significant challenges. The impact of relegation and the associated reduction in a number of revenue streams has placed extreme pressure on our cash flow. 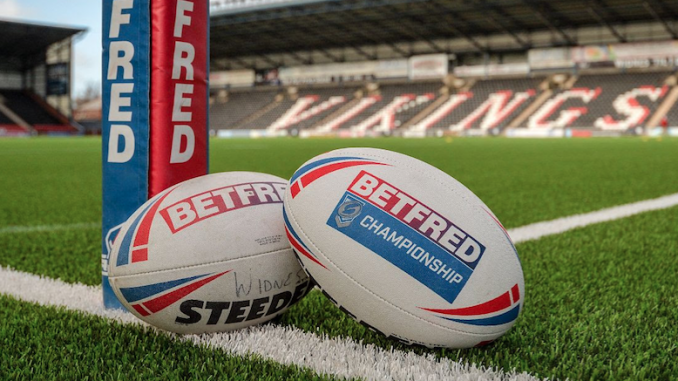 “There are still discussions to be concluded with external parties and the board of Widnes Vikings are hopeful that these will reach a positive conclusion. Further updates will be provided in the coming days. “It goes without saying that the ongoing backing of our members and supporters, who have always been the lifeblood of the club, is absolutely vital at this time. I would encourage the local community to attend this Sunday’s fixture against Halifax and to continue to provide their support.